“You are moving into another dimension of your time and space. We are the Lemurian Council of Twelve and we are here to assist you. 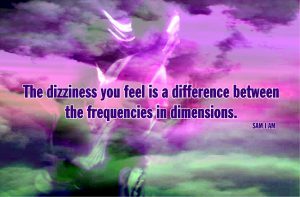 The dizziness you feel is a difference between the frequencies in dimensions. The frequencies in magnetics of your earth are changing more rapidly than ever before. It is important that you continue to ground yourself using Mother Earth herself. You must do this daily. 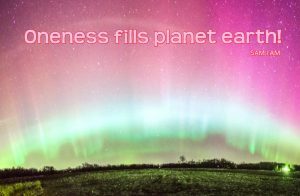 You must walk on your Mother Earth to more fully coalesce with the frequency in magnetics within her. This is your soul’s charge. If you do not wish to follow this soul plan you do not need to do so but cementing these energies, more fully coalescing with the frequencies and magnetics of your Mother Earth, will assist you to do so. “We are with all those now ready to make this switch in frequency. As your earth frequency and magnetics continue to change, many shall experience what is commonly referred to as vertigo. To lessen the trauma of this experience it is necessary to perform this grounding daily. We are with you as you move though this process. We are the Lemurian Council of Twelve and we wish you to know you are never alone. This process is one that has been moved though in previous times upon your earth. This is the last coalescing of energies, of frequencies and magnetics your earth shall experience. This shall take an age as you define it of two-thousand years. This age has begun on your 12/21/2012. Although you may seem human, you are not. You are a soul using a human form to experience through the experience of time. 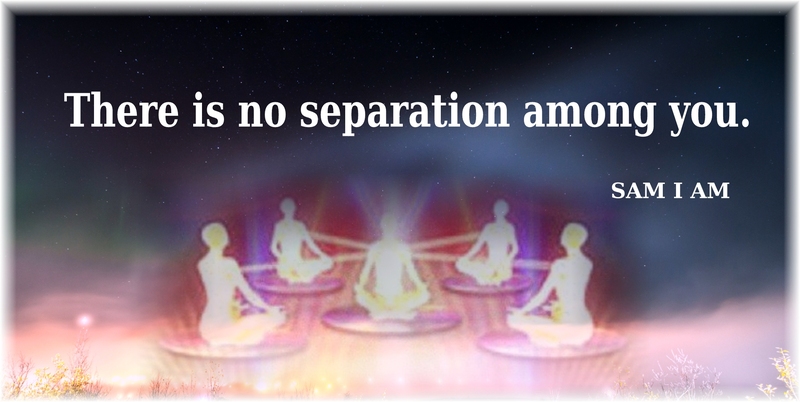 the origins of each soul within the field of separation… Each soul is unique. “As each body forms within the field of separation, it takes on a unique personality. The personalities exist with the function to meet the requirements designed by the soul. All personalities are designed with the function to meet the requirements designed by souls. As one moves though this process of returning in all aspects to the beingness of which it truly is, it is vital to acknowledge the perfection in each form. 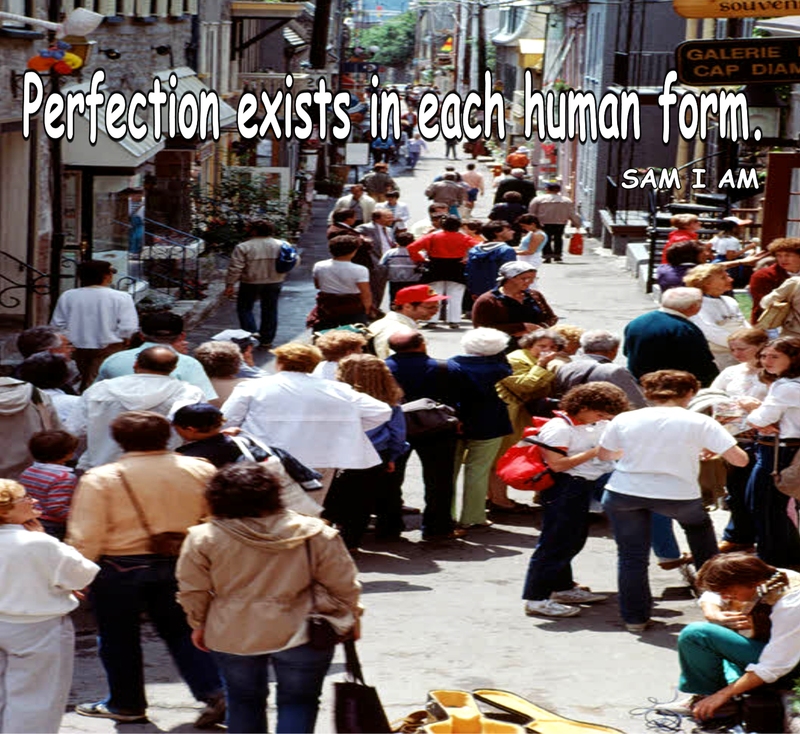 Acknowledging this perfection not only brings one closer to the Oneness in which it never left but helps one to realize its own uniqueness and perfection. 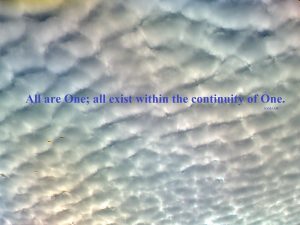 “Again, we the White Winged Consciousness of Nine relate, each physical form is unique in all aspects of being within the field of separation. Each form has a particular personality to experience the requirements its soul has set forth for each life. “One will seem to experience separation as long as one seems to remain in a body. This state of awareness changes, to a certain degree, when one recognizes aspects of ones self in others. 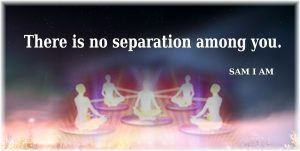 Separation is only in one’s mind. Each mind, each body, has its own experience and lives within its own universe. Each body deals with only its own experience and lives within its own universe, dealing with only the aspects of its own self. “Recall, all are One and know that as you move though this process, all truly belong and each seeming separate individual in your world is only an aspect of the small separate mind to be recognized and loved for what it is. Love all these aspects as your self no matter their shape, their form, their experience and accept them into your own consciousness. All aspects of your individual experience are only parts of your small mind of one to be recognized as who you are. Accept all these parts, all these aspects. As you do so, the turmoil and chaos within your own individual universe will lessen. Each aspect experiences lessons in the avenues of chaos and turmoil. The blessing of Oneness continues on a greater level for those holding that consciousness. “We are ethereal forms in essence, in Truth, in Light. This form is merely a stones throw away for those in your world who have chosen to return to the essence of BEing, as originally experienced in this realm of earth. “Many forms now take on more denseness of earth as great changes, cataclysms, change the shape, the form, the consciousness of earth. Many humans are not yet aware of the truth of BEing. These humans shall continue to experience greater aspects of the denseness of humanity’s choice to leave ethereal form. This ethereal form will be unavailable to those living in separation, for only those remembering the Oneness first experienced in form upon earth will return to this original Light Of One. “Recall the Light Of One was not dense. The Light Of One contained all of those unique essences, aspects of All That Is desiring to experience life in other richness of BEing. And yet, many of these aspects chose to not return to the Light Of One until all experience balanced in a manner where the experience was sought, experienced and balanced. This meaning all Light and all darkness experienced by those wishing/desiring to experience the Oneness in other aspects of BEing. 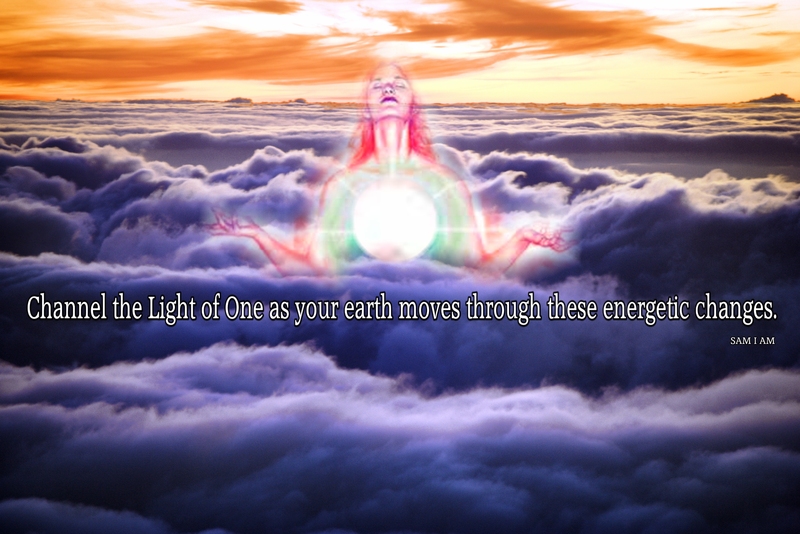 “It is of the utmost importance to channel the Light of One as your earth moves through these energetic changes. Much separation continues to play out in your world. The Oneness in which all live in Truth is readily available for those that know of it. We are the White Winged Consciousness of Nine and we are here to help those within this Oneness devoid of separation. “The Truth of your BEing is one, one Truth, one Light, one life in which all unique aspects of the Whole reside. Know that as your earth moves through these energetic changes the chaos of separation increases for those choosing not to experience Oneness. Yes, it is a soul choice. And please recall, there is no right nor wrong in your world. Each soul chooses each life experience before birth and each soul experiences the choices of that soul plan using free will and choice. “Many humans are not yet ready to return in all aspects to the Oneness in which each unique aspect of All That Is truly resides. Know that as your earth changes this separation will continue to be more rampant. “It is of the utmost importance for those experiencing the Oneness of All That Is to continue to draw in the Light of One as these energies permeate your earth. Each human is guided in their own way. Know that as these energies continue to permeate your earth all are guided within this Oneness of Light to take in this Oneness, take in this Light, to maintain and increase the vibrational aspects of the Whole of One. There will be times when one awakens, still on the cusp of sleep, sensing they are receiving downloads of light. This light is best assimilated when acknowledged and accepted as these downloads occur. Upon sensing this light coming into the crown chakra, envision it moving down the spine to the feet and back up again in an arc on each side outside of the body to again join with the stream of Light coming from unseen realms, seeming to be above ones head and body. 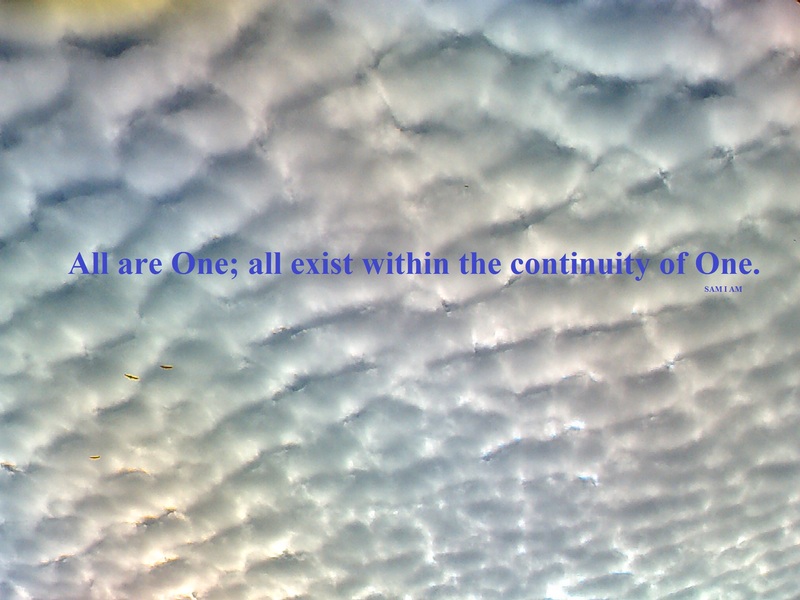 Continue this process for as long as comfortable knowing that all have not left the Oneness. Yet, each plays it’s own game within this illusion. The next step is to radiate the Light held within to the world and beyond. “We are the White Winged Consciousness of Nine and we are here to report to those who wish to awaken from the dream within the dream. The erasure of your (3D) world moves forward as all on planet earth sense the energies of Oneness. The Oneness within these energies secures a more steady spot in placement upon the earth of Oneness (the New 5D Earth). The reality of many people now dissipates into this Oneness while those not yet awakened become mired in the disappointment of separation. This separation tears apart all those wishing to remain within it; by this tearing apart, we mean the separation keeps those at a distance from others within the Oneness. “There is no blending of the two when it comes to families, to friends, to those that know the Truth. You many wish to interact with one another but the circumstances within each life will not coalesce. The interactions between those in separation and those in Oneness will not be as strong as days past. The interactions to those in separation from those in Oneness will be, for the most part, planned events, events where plans have been set aside to address those in separation. And yet, this addressing will not occur under the best of circumstances, for those in separation will be hindered with many issues. These issues will keep them in the separation in which their soul seeks to dwell. 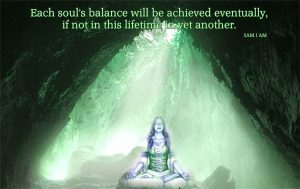 “Those within the separation are living within their soul plan and shall remain in separation throughout this lifetime. We ask that those in the state of Oneness know that each soul has made a choice. 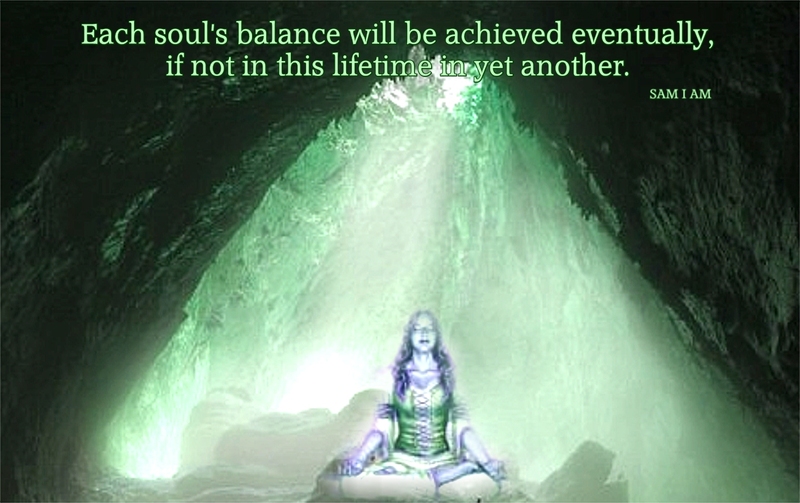 Each soul’s balance will be achieved eventually, if not in this lifetime in yet another. And we ask you to have patience with those still mired in the throes of separation for the Oneness of which all seek lies within.